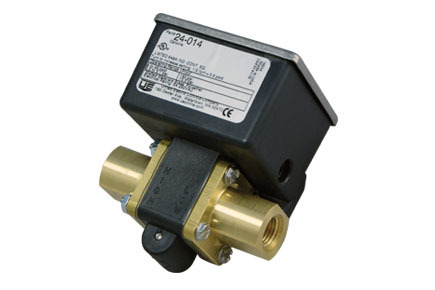 The cost-effective 24 Series Delta Pro™ pressure, vacuum, and differential pressure switches offer a unique blend of compact size, excellent performance, and environmental protection. Available with brass or polysulfone pressure connections the Delta-Pro is ideal for applications involving hot or cool air, water, gas or oil. The precision snap-acting switch and sensitive diaphragms combine to provide a narrow deadband and repeatability of approximately ±1% of full scale range. A convenient, externally accessible adjustment screw is multi-turn to provide easy set point adjustability. The force-balanced design gives the Delta-Pro excellent vibration resistance.